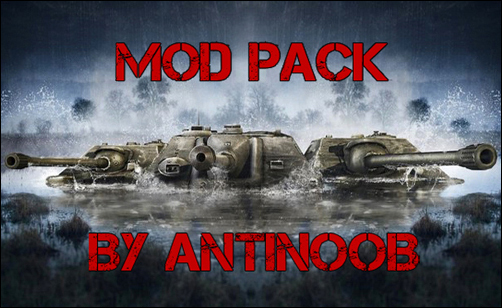 The Modpackage of AnTiNooB mods for World ofTanks 0.9.16. Collected the most fun, important and useful modes. – A notable indicator of the direction from which received damage. – Added full XVM (installation as simple as possible, all present in the archive), IMPERconfig v726. WARNING!!! Before you install the MoD Pack, clean the folder res_mods! luv this pack only problem is that it is for a russian server so all in game features are russian…is it available for a european servers ??? Got several virus warnings on the exe file in V23.0L ! Nice page, Preserve the useful work. Thanks a lot!. whole lot and I view it that is good written, fast to understand. I congratulate you because of this research that I am going to recommend to the people around.